The 2015 Billy is the product of hard work, dedication, drive, and skill. 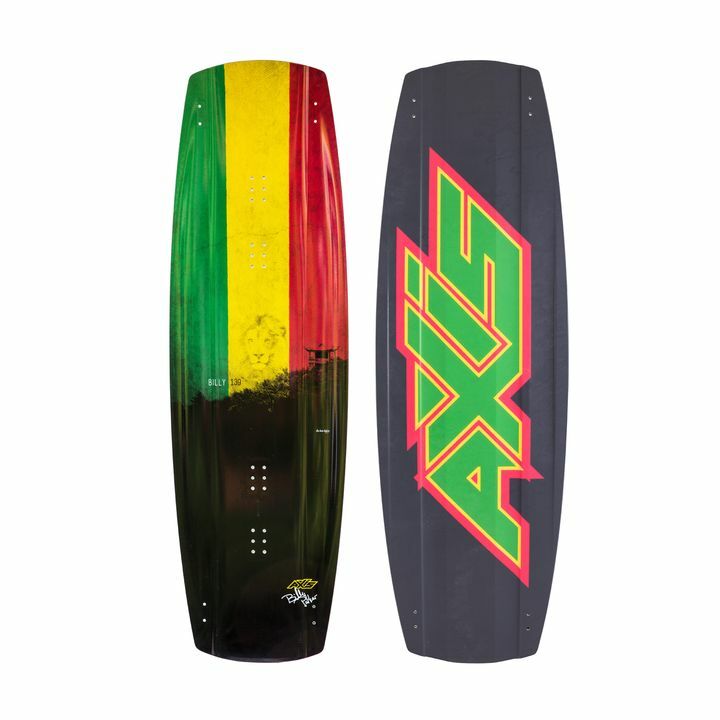 It is the collaboration between the pro kiteboarder, Billy Parker, and AXIS Kiteboarding’s master shaper, Adrian Roper. The 2015 Billy is the product of hard work, dedication, drive, and skill. It is the collaboration between the pro kiteboarder, Billy Parker, and AXIS Kiteboarding’s master shaper, Adrian Roper. The Billy has been in the works for several years and specifically designed for hitting features, such as kickers and rails, as well as taking extremely high impact landings. For this reason we recommend only using Boots with this board. The construction features dual inserts for custom boot placement, P-Tex grindable base like a snowboard making for steezy slides and easy repairs, not forgetting our strong and reliable Paulownia wood core. The Billy 39 is build tough! being designed by the two of our highest level individuals, the only thing left to build is a rocket. Their collaboration of expertise shines through when you experience the ride and performance of this board, Sunday Bob and the cruisers may not notice a thing, but for the dedicated wake-style kite low park frother, The Parker Pro will be your ticket to stomp.